The dark grey ocean of the Mikado stands in stark contrast to the easy-to-read metallic silver map. 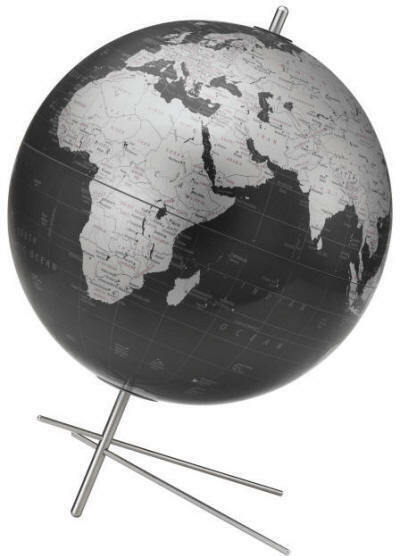 Uniquely supported by an angular brushed stainless steel base, this modern globe was designed exclusively for Replogle Globes in Denmark. Winner of the Advancing Design and Innovation Award.